What do you want from your Mediterranean home? A sea view, a balcony, friendly neighbours, year-round flights, a low cost of living? Perhaps most of all, just being able to afford it. Turkey has all of the above, so if money has been holding back your foreign property dreams, why not take a look? With beautiful apartments on our site from well under £40,000, if you want the biggest bang for your buck, Turkey has the most affordable Mediterranean homes. There is another reason to consider Turkey at this particular time: the value of the pound. While the pound has fallen dramatically against the dollar and euro, the fall against the Turkish lira has been much smaller. That makes these Mediterranean homes even cheaper for British buyers compared to those in Spain, Greece or the USA, with no lack of quality. Put simply, at whatever budget you have, you will be able to afford a better quality of apartment – an extra bedroom or two, a prettier view, a bigger pool – in Turkey. Even if you can afford a bigger budget, for many buyers it will make sense in these turbulent times to be a little cautious. Brexit doesn’t mean you should put your life on hold and shouldn’t stop you buying in the sunshine, but “pre-exit” uncertainty has settled in like a London drizzle and won’t be shifting for some years. Doesn’t it make more sense to buy in a location where your rights for the foreseeable future will remain unchanged? While we are talking about money (and buying in Turkey is more about the wonderful lifestyle than the cash, of course), two independent and authoritative surveys say that Turkey’s property market is a world-beater at the moment. On Knight Frank’s Global House Price Index Turkey came top for the spring of 2016, with annual price growth of 14 percent. The Global Property Guide put Turkey fifth in the world, with inflation-adjusted price growth of 10 percent. So, while Turkey has affordable Mediterranean homes for now, they might not stay that way forever! 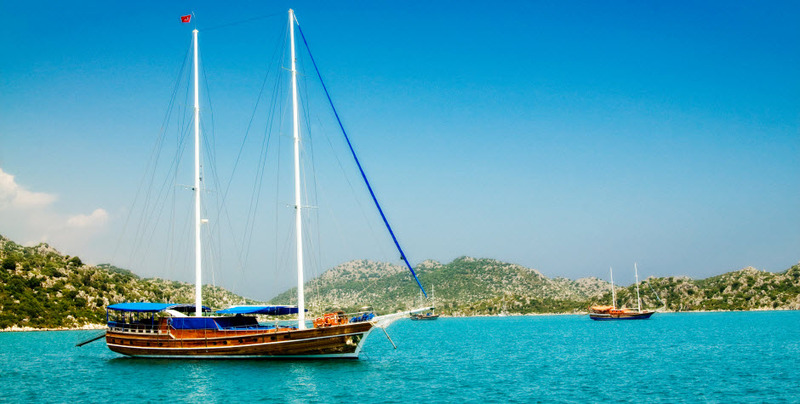 To see how you can buy a home in Turkey, download the guide from Property Guides. To get the best advice on making the most of your pounds when you buy abroad, speak to one of the team at Smart Currency Exchange.